It was a popular go-to for Fountain views and top quality Thai food in Souk Al Bahar but now Mango Tree is back, in a brand new location on JBR. Mango Tree Thai Bistro has just opened its doors in a contemporary new space in Hilton Dubai The Walk. Promising ‘a creative menu of authentic Thai flavours mixed with new ideas’, the menu features an array of dishes from the four main regions of Thailand. Guests can expect classic dishes such as green curry or jungle curry as well as new trends like som tam corn salad that has become a staple dish in restaurants everywhere in Thailand. 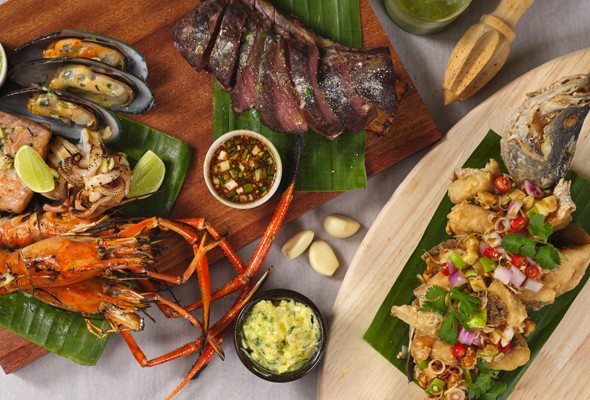 The menu will also feature other unique signature dishes such as deep fried seabass with Thai herbs and a traditional Thai seafood platter inspired from the South of Thailand. Mango Tree Thai Bistro offers both indoor and outdoor seating for just over 150 guests, with a terrace complete with JBR and Ain Dubai views. 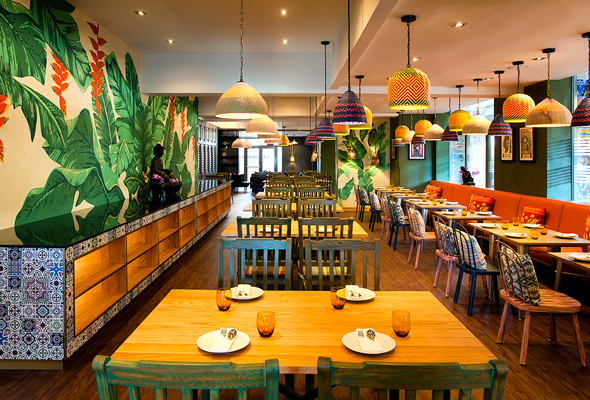 Inspired by the bustling streets of Bangkok, inside the JBR location you’ll find rustic interiors coupled with hand painted art murals that are set to transport you straight back to Thailand. Previously, Mango Tree could be found in Souk Al Bahar, but closed its doors in 2016 alongside another popular Souk Al Bahar restaurant, Rivington Grill.